Figuring out the rhythm of a song in playing a guitar is something that some newbies find challenging at a certain point. After all, how can you do so if it is not even mentioned right on the tab. This is not easy to do, especially when dealing with a guitar. With a good help, however, you can get a good amount of knowledge which will allow you to learn further. This guide will help you in finding rhythm patters that you can use while playing on your favorite songs. In order to make those things happen, all you have to do is to understand some important things regarding rhythm patterns. First and foremost, if you are interested in re-creating the original rhythm being played, you can either purchase the original songbook from a store, as it will exactly tell you what is being played on the CD. Another option is to train your ear, as well as your skill to identify rhythm patterns, practice playing the rhythm heard. The first option is not complicated at all. All you need to have is money to purchase the songbooks, as well as the time for you to learn the keys to deciphering rhythmical writing. On the other hand, the second option may turn out to be more complicated, as it needs more experience in order to hear rhythm patterns, immediately re-creating as it is. In order to identify rhythm patterns, one thing is really important to understand. In playing a song, there is nothing as a single rhythm being good, while the others are bad. In fact, there are usually a lot of different potential patterns, all of them ending up with a great sound. For a very good reason, rhythm is often considered as one of those elements which enable us to change a song interpretation. 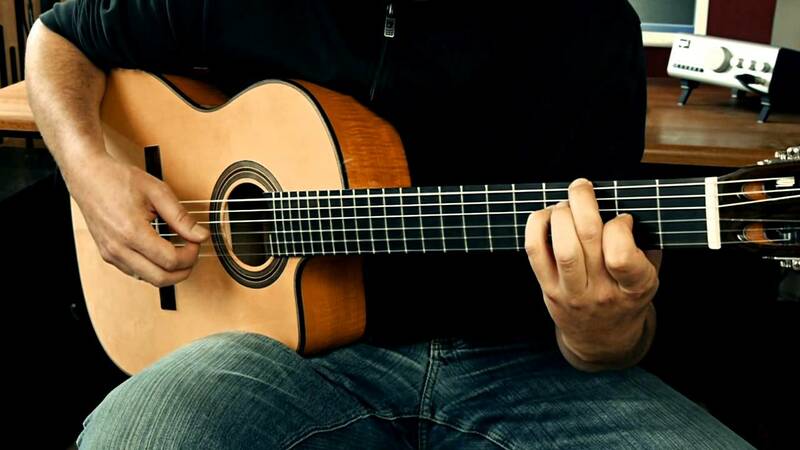 For example, if you are listening to a song with guitar playing in it, you will most likely notice that the rhythm evolves all throughout the entire song. The pattern that is being used in the first verse may different oftentimes from the one that is used in the third verse. Basically, this happens due to interpretation. This usually is a result of the musician playing feeling the need to slightly change the interpretation in certain parts of the song. This happens more obvious as you listen to some live versions, which will be different in most rhythmic patterns. At this point, it is very important to understand that there is no single rhythm pattern which need to be followed, however, several potential patterns with which you can select from, depending on your mood. It is not at all times very easy to figure out which particular rhythmic pattern will match a specific song, since there are common exceptions available. Therefore, exploring on spontaneous things is a good thing to try. You can take whatever pattern that you meet, giving it a try. If you feel that it produces great sound, you can keep it. On the other hand, if you feel that it sounds bad, you can just discard it. With this exploration initiative, you will easily end up with knowing instinctively which rhythmic pattern will work on a particular song. One of the very important elements that can be taken into consideration in order to produce a great rhythm pattern is identifying the number of beats that you are playing each of the chords for. When playing a chord grid, each of the chords will also be played for a specific and certain number of beats. 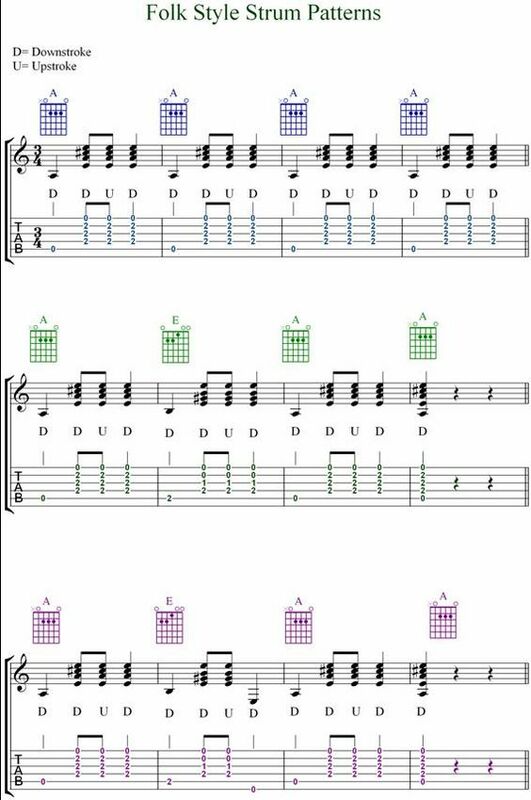 The beats for each of the chords are connected to the number of beats that will be present in each of the measures. Most of the time, the measures last for about four beats. Also, a chord will correspond oftentimes to a complete measure, half-measure, or two measures. It is quite rare to encounter chords which do not stick to the structure of a measure. As a point to remember, it is highly important to identify the number of beats that each of the chords will last for, as well as the number of measures that they corresponds to. Failing to do so will often result to a hard time in setting up and figuring out a rhythm pattern. In some guides available online, the time signature is specified, including the number of beats for every measure, right on every tab. Mentions such as ¾, 6/8 and 4/4 can be seen right below the title of a tab. Without going further into the details, you already know that the first of the two numbers indicates the beats per measure. This can be a starting point in figuring out the number of beats that will last for in every chord. In most of the cases, they will often last for a complete measure. On the other hand, if this is not the case, the easiest way will include listening to the original, counting the beats to spot any chord changes. It may be tricky at times. However, this is a very important skill that you can acquire in playing guitar. As such, you can listen to the song, counting the beats, and spotting the number of beats before the chord changes. After managing to identify the number of beats available for every chord, everything that follows will just be simple. Your aim here is to find a pattern which will last enough for the number of beats. If you have a single chord which can last for an entire measure, you need to look for a pattern which also lasts for four beats. After playing the rhythm pattern for the first chord, you can move to the next. The options you have here is either to play the same pattern used on the previous one, or change it. This will now depend on the context.